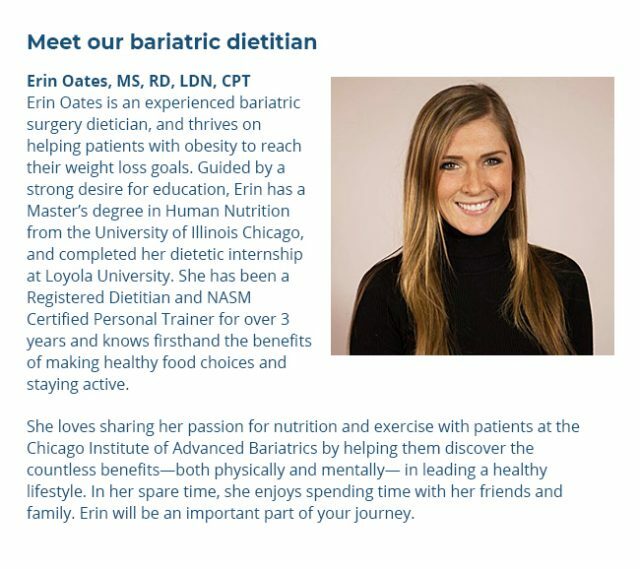 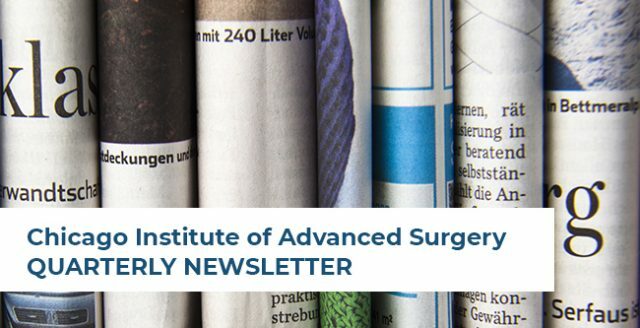 Stay up to date with the Chicago Institute of Advanced Surgery through our newsletter! 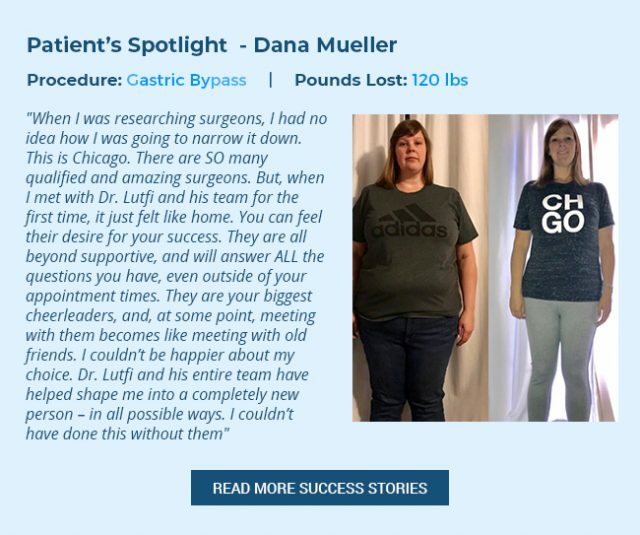 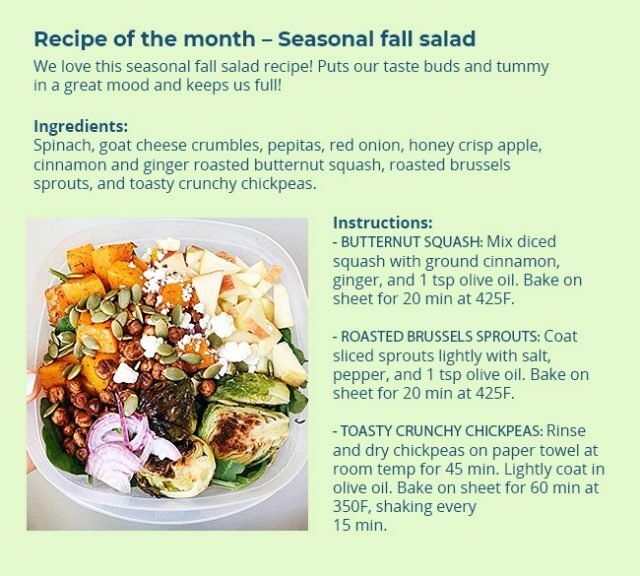 Here you will find practice news, patient spotlights, information about our staff, and recipes of the month. 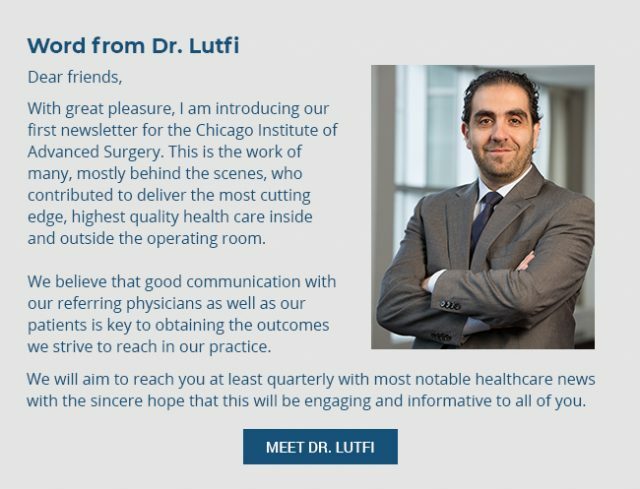 We strive to bring you the most notable healthcare and practice news with the sincere hope of this being engaging and informative. 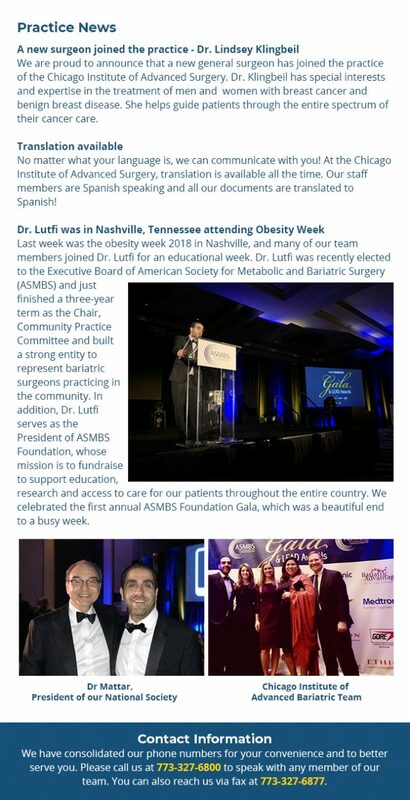 Sign up for our email list to have our newsletters delivered right to your inbox!